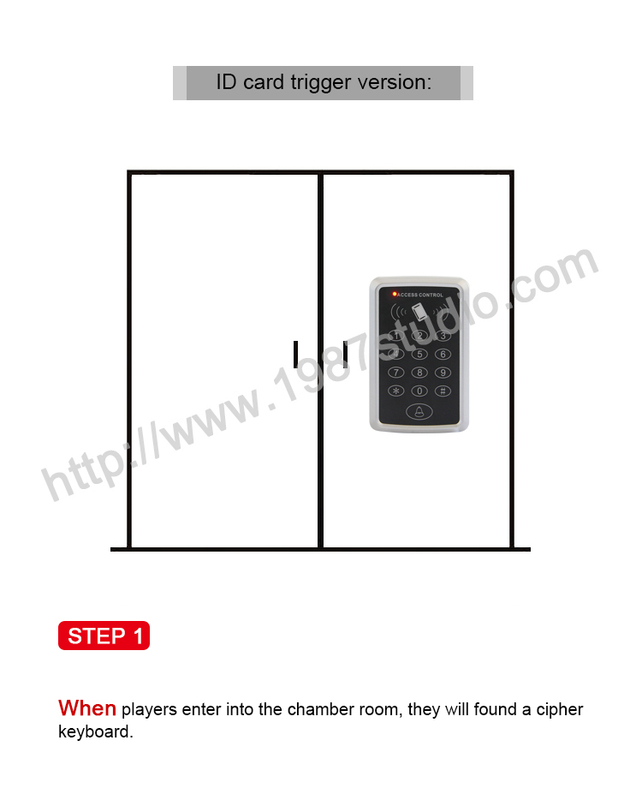 There are two unlock modes can be set. 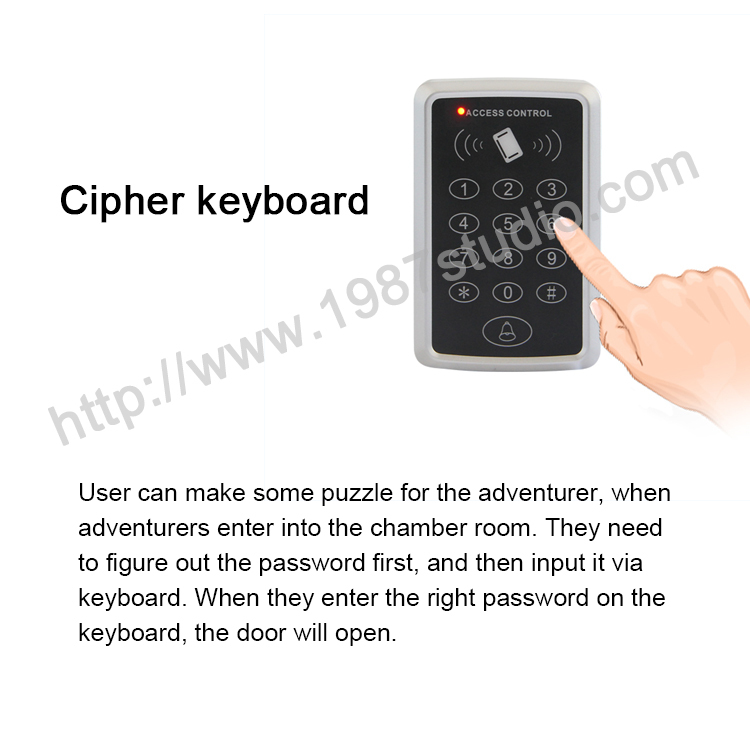 User can make some puzzle for the adventurer, when adventurers enter into the escape room. They need to figure out the password first, and then input it via keyboard. 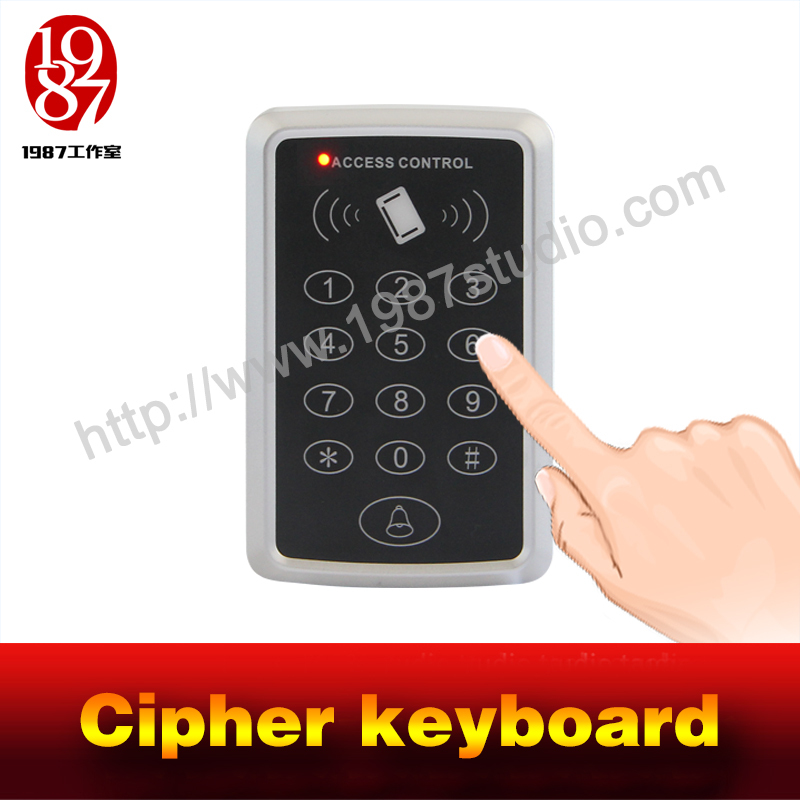 When they enter the right password on the keyboard, the door will open. 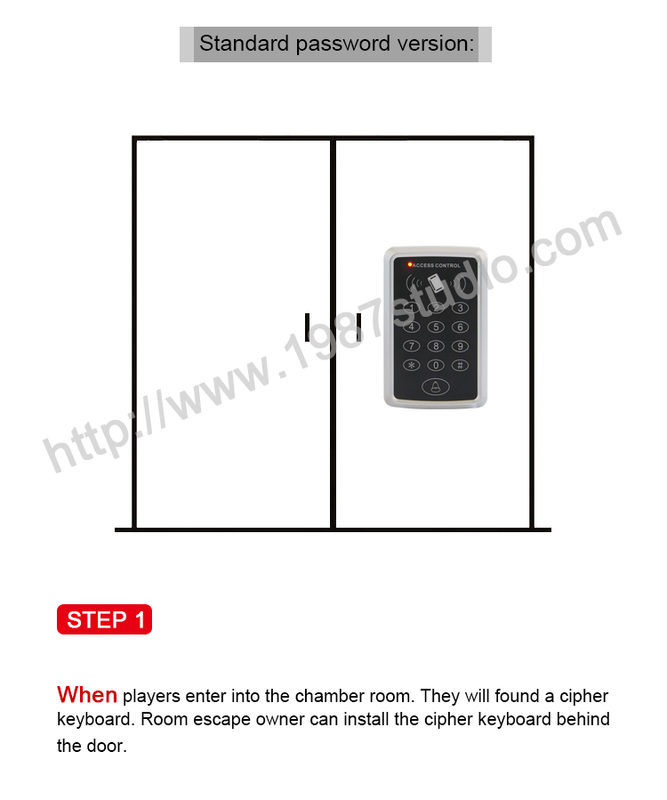 1) This escape room prop supports two unlock modes. 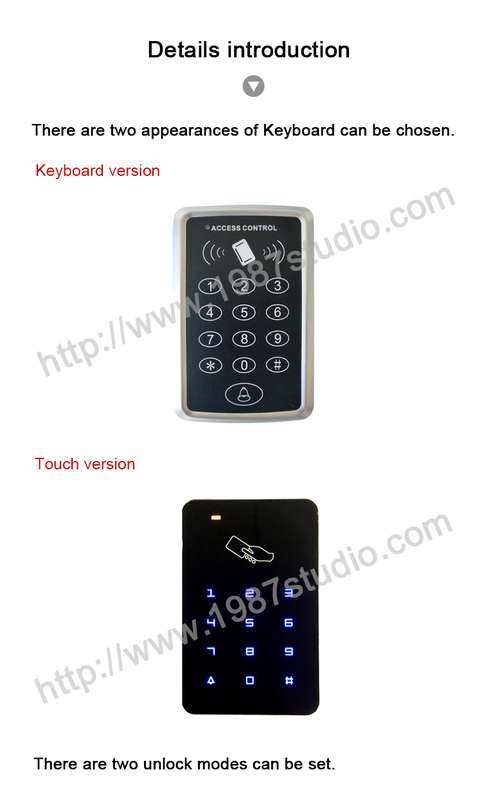 (standard password version, password+ID card version). 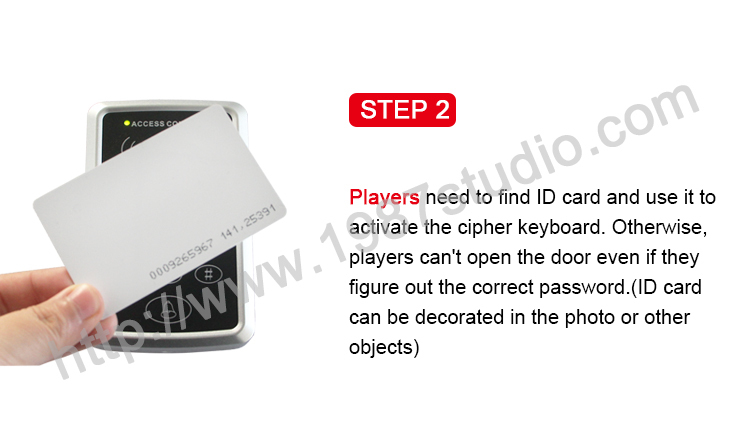 3) The password can be set of your own (3-6 digits). 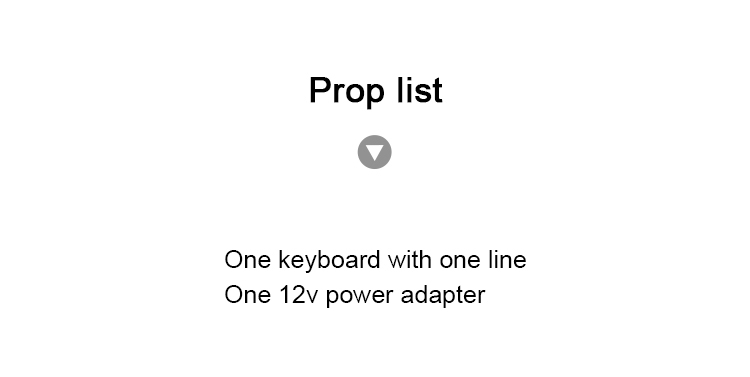 4) This prop is easy to stall. 1. When players enter into the escape room. 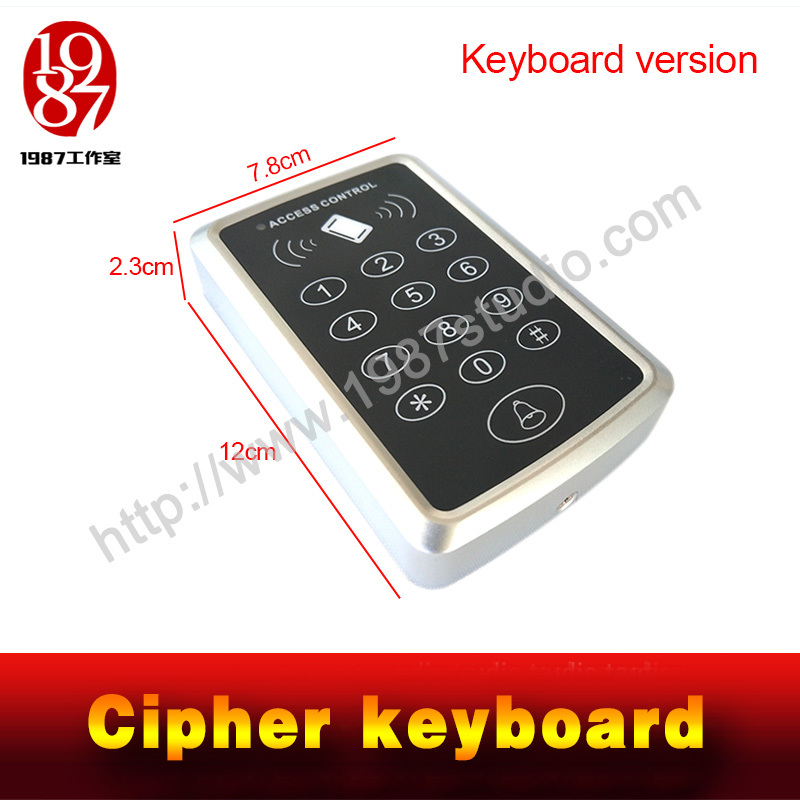 They will found a cipher keyboard. 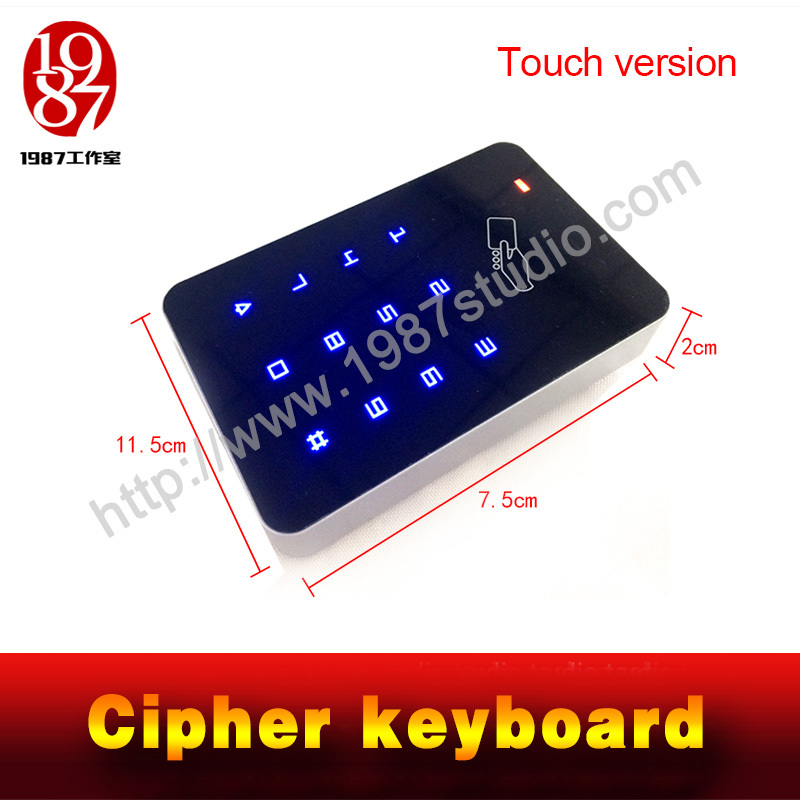 Room escape owner can install the cipher keyboard behind the door. 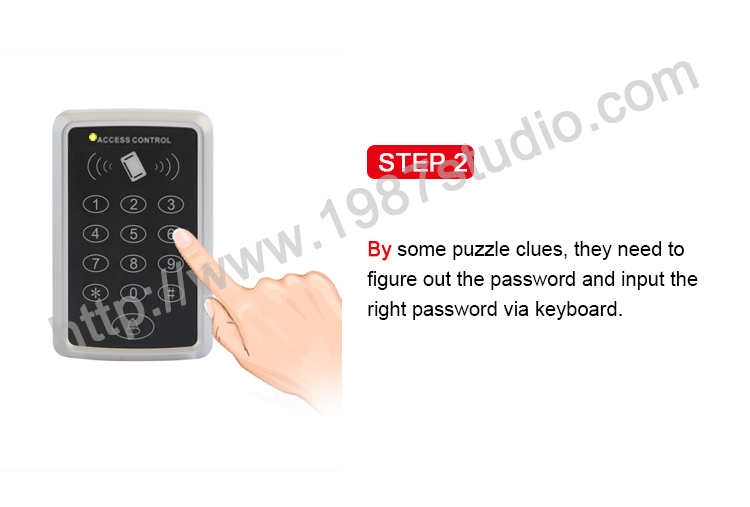 2.By some puzzle clues, they need to figure out the password and input the right password via keyboard. 3. When they enter the right password on the keyboard, the door will open. 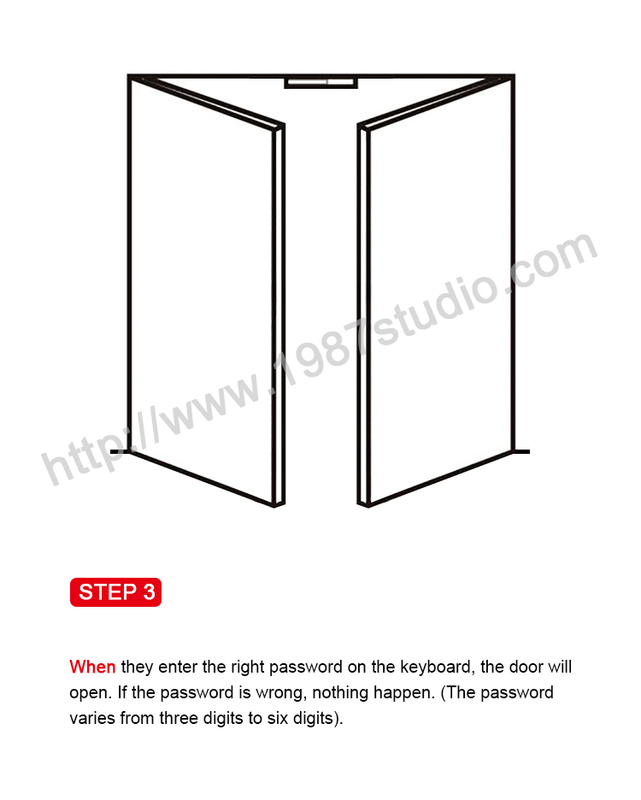 If the password is wrong, nothing happens. 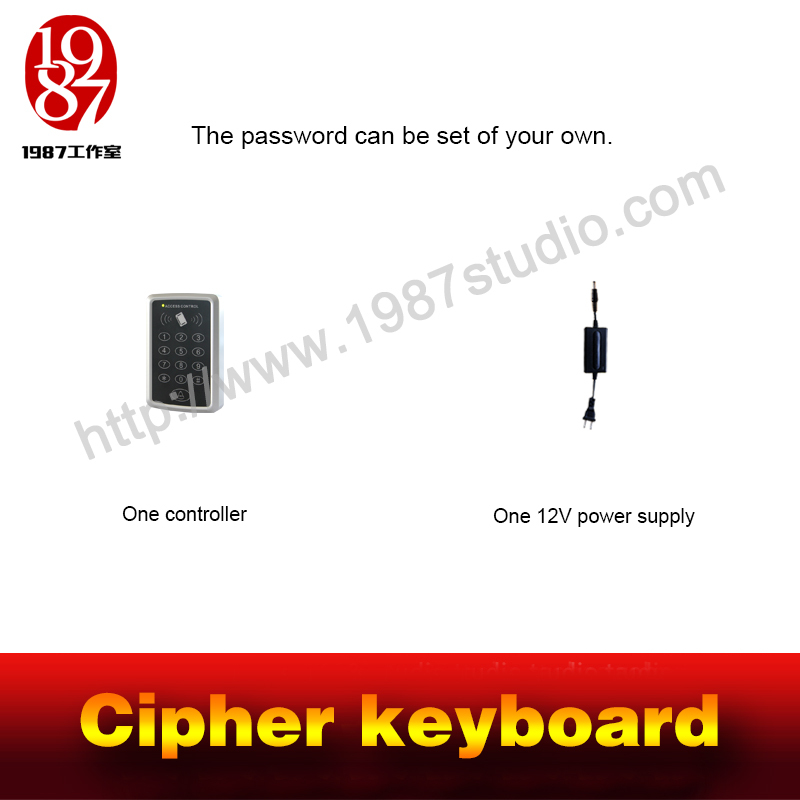 (The password varies from three digits to six digits). 1. 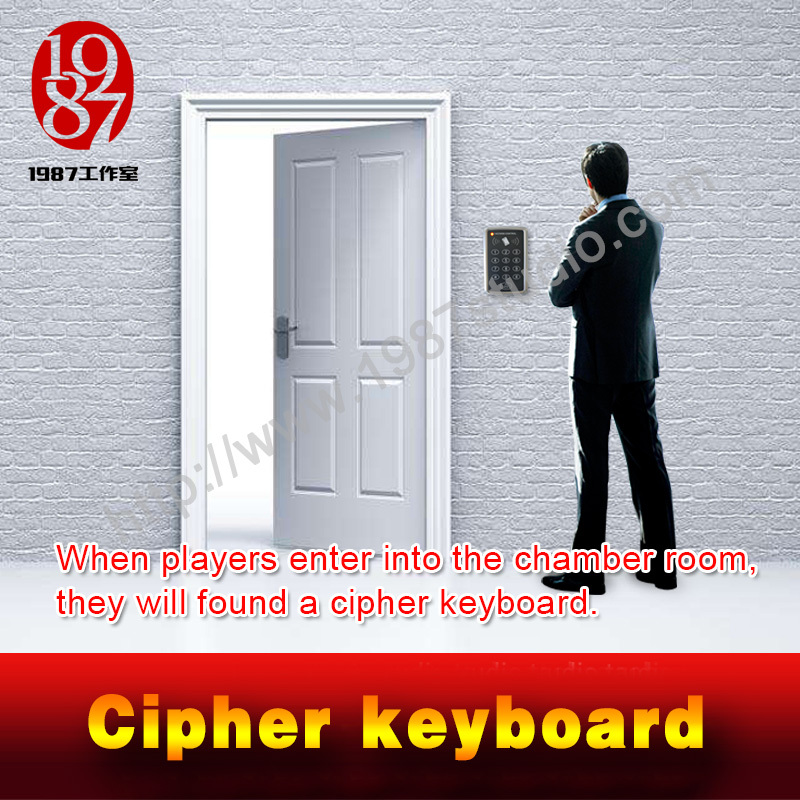 When players enter into the chamber room, they will found a cipher keyboard. 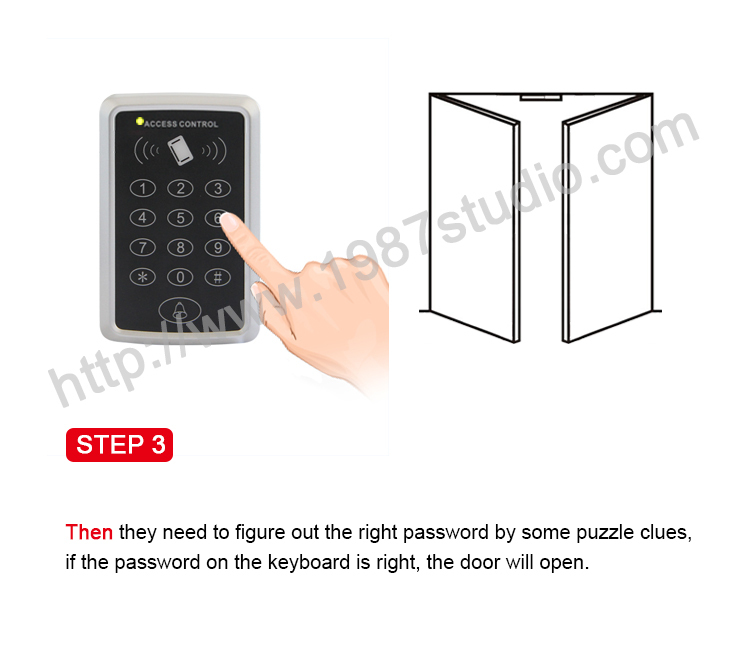 3.Then they need to figure out the right password by some puzzle clues, if the password on the keyboard is right, the escape room door will open. 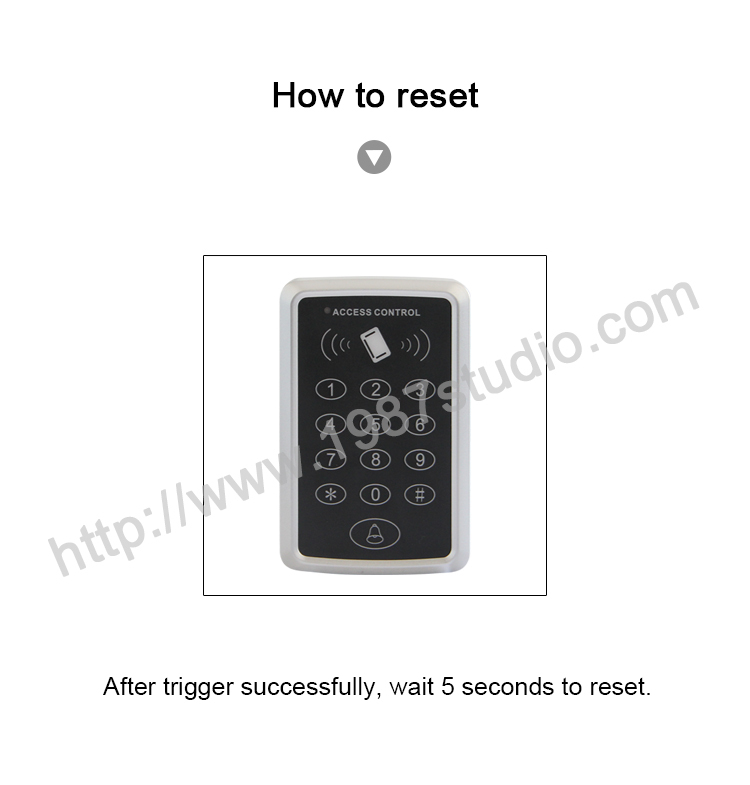 After trigger successfully, wait 5 seconds to reset.